Finding African clothing for your little one can some time require some serious searching on google or tracking down an African themed market close to your area. This is especially true if you live in America, Europe and Asia as part of the Diaspora. To help you out in finding lovely clothes for your children we've put together a list of wonderful children's fashion shops selling African inspired designs. 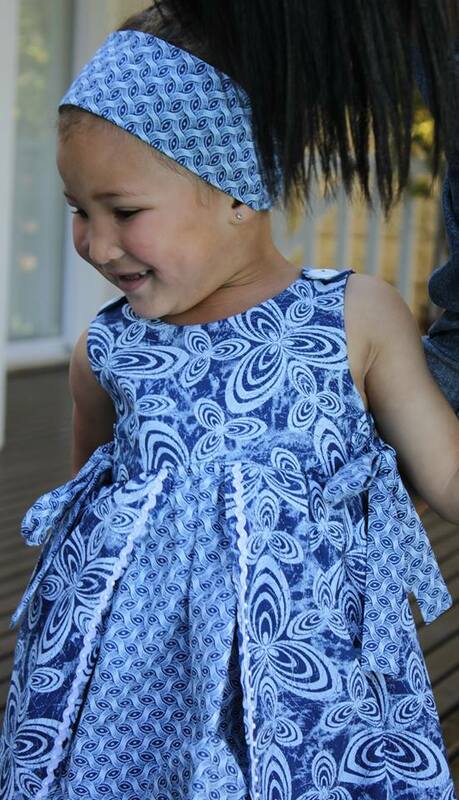 Isossy Children sells a range of kids clothing online influenced by African & Asian textiles . Their contemporary collection contains a range of cute girls and boys clothing. The fashion line from the African culture center Culture of Africa for Kids Everywhere (C.A.K.E). They make and sell African inspired clothes and gifts for today's Afropolitan kids. Ruff 'n' Tumble is Nigeria's leading clothing brand for children and teens. Founder, Adenike Ogunlesi, started the business out her need to make pyjamas for her children. The brand now has 15 branch locations nationwide. Africa Imports is your mall for all things African. From African fabrics to to African artwork - they've got you covered. Their children's clothing section offers a fun & stylish selection of diashikis, brocade & batik outfits for boys & girls. Ubuntu Wear is an urban African inspired brand based in Rotterdam, Netherlands. They make some fantastic unisex dutch wax print pants for children. They sell out quite quickly so contact them to know about availability. Another shop on the Etsy plaftorm, Adorably African is an African children's clothing line based in Washington DC that specialises in print designs. They offer everything from baby wrap slings, dresses, skirts and outfits for toddlers. An online shop for Afro-centric clothing that has been in business since 2002. They offer a wide selection of African outfits for mainly adults but do a few cute African inspired outfits for kids too. Kelechi Fashion is an African clothing retailer based in Zaanstad, Netherlands. Fashion designer and mum, Lara Mulder Anyanwu, designs these very cute African inspired clothing wear and apparel for kids and adults. Grace & Elie is an African inspired children's brand on a journey to experiment with different colour combinations & distinctive patterns. They provide an adorable selection of stuffed toy elephants, bibs, dresses, bow ties and accessories for kids. Wonderfully handmade baby dresses made from African ankara fabric. Borrowing it's name from the Yoruba word 'shakara' which means to show off, Shakara Babies believe that designs for baby clothing should equally be as exciting & vibrant as adult clothing..
Shellsbells Kids is a fun African clothing retailer based in the U.S . Their unique blend of African and American kids fashion with vibrant ankara inspired silk, chiffon, & sequin dresses for girls are absolutely adorable! We don't have much information about Oonaloo but we do know they're based in London. Li Li's Creations in an African inspired clothing boutique on Etsy. Naturalista and designer Malacia N. Anderson makes these beautiful dresses that also come in children sizes if requested. Beautiful, handmade African inspired children's clothing and accessories for ages 0-9 years for both boys and girls. Made with love from their London studio. A new clothing line that do fun African print clothing for kids with a huge following of South African mummies. We're definitely going to do our best to have fun with fashion styles in the new episodes of Bino and Fino. I hope you liked the list. We'll do our best to keep updating it. Let us know of any other shops we should mention. Posted on June 4, 2015 by Adamu Waziri and filed under Useful Lists and tagged african children's clothing.